"I was working as a high school special education teacher for students with emotional and behavioral needs. I found the key to reaching students is engaging them in content that’s relevant to them. You have to see where a student is coming from and tailor it to their needs." On April 26th and 27th, Ecotrust and Blue Earth Alliance will co-sponsor Collaborations for Cause, a national gathering of photographers, NGOs, activists, and communications professionals, to discuss the collaborative future of storytelling. Panelists include experts from top-notch firms like Wieden+Kennedy and Second Story, communications innovators from Ecotrust, Rare, and American Rivers, and world renowned artists and photographers like Gary Braasch and Ed Kashi. The second day of the conference will be dedicated to storytelling workshops. Finn Ryan will serve on the panel Constructing Collaborations, which will discuss working models between NGOs and content creators. 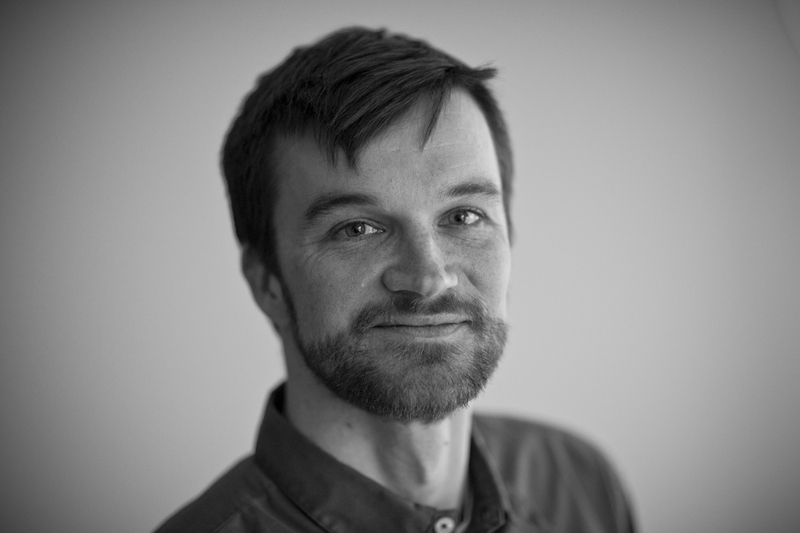 Ryan is a producer and educator based in Madison, Wisconsin. He directed the Emmy Award-winning multimedia project Climate Wisconsin, which features interactive data mapping tools and stories about industries and activities that are being affected by climate change, including forestry, fly fishing, farming, and shipping, among others. Finn Ryan will serve on a panel at Collaborations for Cause, to be held April 26th and 27th. Most recently, Ryan has been involved with an ongoing storytelling series called The Ways about the culture and language of Native communities around the central Great Lakes region. Created for students in grades 6-12 by the Wisconsin Media Lab, the website features videos, interactive maps, links to resources, and questions to ignite deep thinking and provoke conversation. Q.You have degrees in special education, English, and curriculum and instruction—can you explain how you got involved with producing and directing videos? A. I was working as a high school special education teacher for students with emotional and behavioral needs. I found the key to reaching students is engaging them in content that’s relevant to them. You have to see where a student is coming from and tailor it to their needs. I also always had a desire to produce media, and I had the opportunity to go to graduate school to study the intersection of these areas. Q.The Ways multimedia project tells stories of Native communities, blending modern art with cultural traditions. The video Powwow Trail features the song “Electric Pow Wow Drum” by A Tribe Called Red. Can you explain the trend of remixing powwow music among young Native DJs? A. A Tribe Called Red is a really popular music group among Native communities and I think people are acknowledging that there’s a space for Native youth to make traditional culture their own. The video also includes music from Dylan Jennings’ drum group Midnite Express. From an engagement and theoretical framework, our goal has been to connect tradition with contemporary culture through media interaction. Q.In “Prayers for a Song” hip hop artist Tall Paul (Paul Wenell Jr.) writes lyrics that speak to the struggles of being a Native man living in an urban landscape. How has this video been received by students? A.Instructional media, unfortunately, can often mean “telling” instead of sharing a story. With this project we wanted to find and share stories that explore language outside of the classroom. After watching this video, a class of middle school students wrote their own songs and their teacher sent them to me. With Tall Paul’s video we can show students: this is language; this is identity. It resonates. Q.What most excites you about the upcoming Collaborations for Cause conference? A.I’m looking forward to engaging in discussion with people who are doing similar work. It might not be the same content, but we are approaching stories and issues in the same way to help bring about change.